The first movie... Hard to Kill. Can you believe I had never seen this until recently? 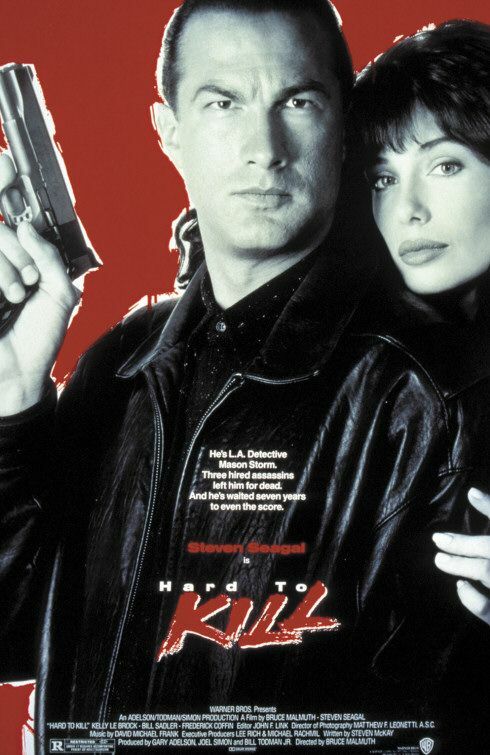 This is a classic 90's movie staring Steven Seagal. If you only remember his failed attempt at a reality show and being a real police officer then you are missing out. He was THE man apparently in the 90s for these types of movies. The movie is incredibly cheesy and awful in some parts but it's highly entertaining. If you've ever watched a movie and chuckled at how unbelievable it is etc then this movie will make you laugh for sure. Seagal stars as an L.A. Detective named Mason Storm. When he witnesses a crime for hire taking place with someone who has a prominent name, it brings the danger to his front door. His wife is brutally killed right in front of him and his young son has to try to flee the home. Mason is shot and enters a coma. Years past and he's still never woken. Seven years later Mason finally begins to come out of his coma and finds the world very different but his problems still follow. 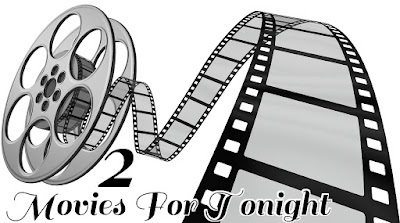 Realizing he's still in danger he enlists a nurse to help him escape the coma institute and together they go on a journey to get his strength back and to find out who has it out for him. Watch this movie and enjoy the laughs. It will make you want to watch more of Steven's movies. At least it did for me! I saw this movie twice in the theaters and so did my husband. It's still as good today as it was then. Recently, we sat down and watched this classic movie for the first time in awhile. The scenes on the ship make you feel like their really on the Titanic. It's amazing the work and details that they did for the movie. If you've been reading my blog for awhile then you know that my husband is a huge fan of this movie. He loves it and he loves all things Titanic. Last summer we went to Tennessee and did the tour at the Titanic museum there. He loved it! We got to feel a huge ice berg and experience the temperature of the fateful night. We got to see furniture and clothing and items that were retrieved from the ship. We also got to see photographs that were taken by people aboard. It was really great. We enjoyed it a lot. So when we sat down to watch the movie I wondered if it was just as good as it was back then. Well it was... I did forget how long it is though! 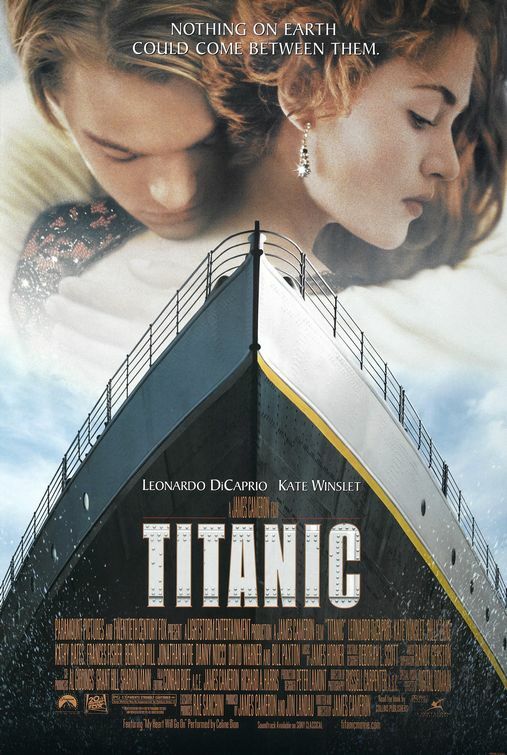 Everyone knows the fateful tale of the Titanic but the movie gives you a better understanding of the horror that night as it began to sink. If you've never seen this movie watch it. It earned several Oscars and was nominated for a record breaking amount.